Plot: When astronauts land on the moon in 1964, they discover an old British flag and a letter claiming the moon for Queen Victoria in 1899. The shocking news that man had been to the moon some 65 years earlier is confirmed when an investigative team locate the elderly Arnold Bedford, who proceeds to tell the tale of how, his girlfriend and Professor Cavor visited the moon and encountered an insect race known as the Selenites. Richard’s Review: First Men in the Moon features special effects from the legendary Ray Harryhausen. However, it rarely gets mentioned and is always overshadowed by many of his other works. There are multiple reasons for this as the movie had several key issues that prevented it from being as good as it could have been. First, the film is too long at an hour and 45 minutes. It takes nearly 45 minutes for our space travelers to actually lift off. There is way too much build-up to the launch, resulting in a very slow pace to the film. 20 minutes or so could have been edited out to speed up the opening. As well, nearly an hour spent on the moon means the action tends to drag on in many places. Again, I think 15 minutes could be shaved off this segment, resulting in a much quicker and more appropriate running time of 70 minutes. In addition to some editing and a tighter script, it’s difficult to determine who is the true hero of the story. Arnold Bedford comes across as deceitful and less than pleasant towards the Selenites on the moon when he is actually invading their world. Professor Cavor is eccentric but seems self-centered towards the end, which ultimately plays a part in the rushed final scene. The film wraps the story up too quickly and could have used another five minutes to expand on the conclusion. Finally, Ray Harryhausen didn’t have as much to create for this film. The Selenites are at times Harryhausen creations while actors in suits in other scenes. The “moon bull” was fun and the highlight of the film. Unfortunately, the magic present in many of Harryhausen’s other films is lacking here. I enjoyed it more for what it could have been than for what it was. I would watch the movie again but it’s not the best of Harryhausen. Karla’s Thoughts: The movie was way too long and would have been better by cutting out a lot of the opening scenes as well as on the moon. It was hard to like Bedford as he was a scam artist, treated his girlfriend badly and was mean to the Selenites from the very beginning. I enjoyed the premise and loved Ray Harryhausen’s work but I wish the science was a little more fact and less fantasy. H.G. Wells published the original story in The Strand magazine from December 1900 to August 1901. C.S. Lewis once stated that First Men in the Moon was one of the best science fiction stories he ever read. The adventures on the moon in A Trip to the Moon (1902) were inspired by this novel. Composer Bernard Herrmann was originally set to score this film but asked for too much money, resulting in producers Harryhausen and Charles Schneer to hire Laurie Johnson instead. Availability: The film is available from Twilight Time on Blu-ray but is out-of-print, so expect to pay $60 or more. It’s still available on DVD but is currently going for $30. So the higher price may turn some of you off. Place it towards the bottom of your Harryhausen wish list. 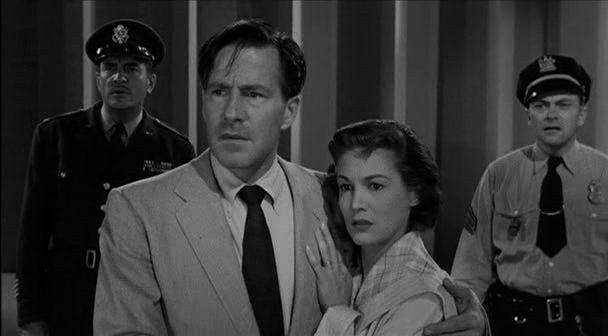 Plot: Dr. Russell Marvin and his bride Carol witness a flying saucer, which turns out to be the first of several sightings and a prelude to invasion. It seems these aliens come from a dying world and they’ve chosen Earth as their new home. Can Dr. Marvin create a weapon that can stop them or could this be the beginning of the end? 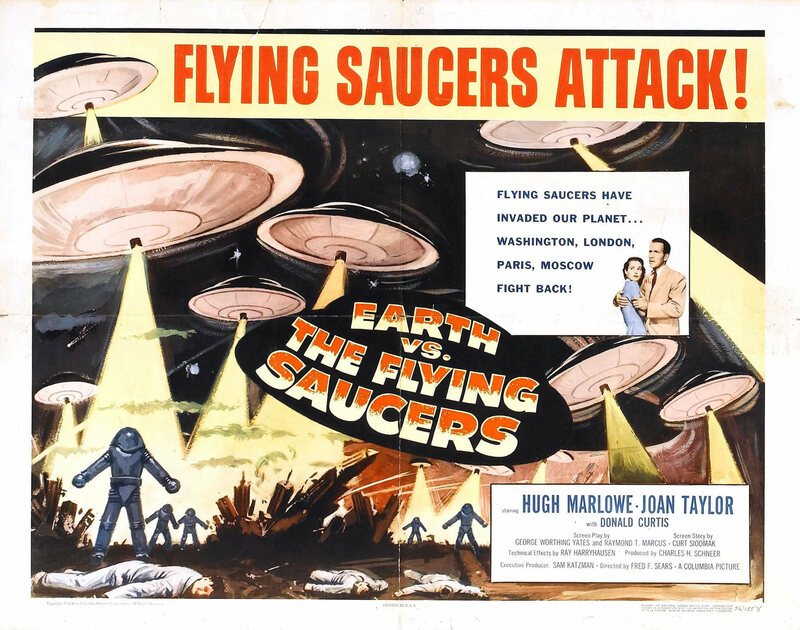 Richard’s Review: I first watched Earth vs. the Flying Saucers on a hot Saturday afternoon in the late 70s. Rather than play outside, I opted to watch aliens and saucers on TV. I vividly remember the saucers destroying Washington D.C. and I’ve been hooked ever since. When Jeff Owens and I traveled to Oklahoma to see the Ray Harryhausen exhibit, I was disappointed none of the saucer props were on display. However, they are on exhibit in Europe as Ray still had several different versions and sizes of the spacecraft in his personal collection prior to his death. For years, this film only existed in black and white but Ray supervised the colorization process to this film and the result really is amazing. The colors look realistic and truly make you feel as if it was originally filmed this way. I normally prefer my films to be in their original format but these Harryhausen colorizations are an exception. Not his best work but this is a fun afternoon matinee flick and well worth checking out in honor of Ray Harryhausen’s upcoming birthday on June 29. He would have been 98 this year. Karla’s Thoughts: The special effects were awesome and I really enjoyed the story. I did think the alien spacesuits were a bit clumsy considering their advanced technology. I was also surprised at how easily they were defeated. And why didn’t they just shoot their weapons from higher up and away from the Army’s more basic weaponry? Minor complaints really as they didn’t take away from enjoyment of the movie. The film took advantage of substantial stock footage for scenes of destruction, rockets and aerial attacks. Writer Bernard Gordon was originally credited as “Raymond T. Marcus” as a result of the Hollywood blacklist. His name was rightfully restored in the 2008 DVD release. 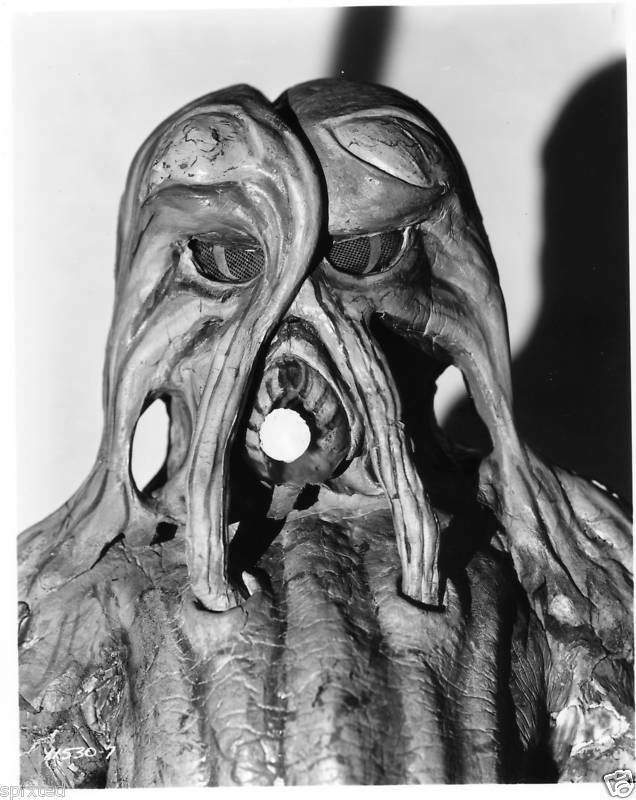 Ray Harryhausen’s fifth feature film and first science fiction adventure. Harryhausen contacted George Adamski for advice on the UFOs. Adamski had allegedly met aliens from other worlds. The voice of the alien’s was Paul Frees, best known as the ghostly voice in Disney’s Haunted Mansion ride. Availability: Earth vs. the Flying Saucers is available on a region-free Blu-ray in color as well as black and white formats. Plot: Newspaper writer Ed Malone needs to impress his girl Gladys if he ever hopes to get married. So he joins his friend Sir John Roxton on an expedition with Professor Challenger, a man who claims to have discovered a plateau in the Amazon where time stands still and dinosaurs roam the earth. However, he never counted on his feelings for the lovely Paula White, in search of her missing father, nor the fact that the professor was telling the truth. Now, they have to find a way back home to prove his claims, with a surprise twist. Richard’s Review: For many years, I watched the same worn out hour-long print that everyone else did. Despite the visual flaws, I enjoyed the movie and loved the stop-motion animation from the legendary Willis O’Brian. However, this restored print is almost like watching a new film. Nearly 45 minutes of film footage has been restored, resulting in a far more detailed and impressive feature. Enhanced by color tinting and an amazing score by the Robert Israel Orchestra, you now have a true classic worthy of all of the love and attention it has received. You’ll find some amazing sequences that had to be inspirations for what we’ve seen previously in the Jurassic Park series, as well as the upcoming Jurassic World: Fallen Kingdom. The dinosaur work by Willis O’Brian is stunning and the extra footage included on the Blu-ray give a glimpse at some behind-the-scenes magic at work. I cannot recommend this Flicker Alley release enough, from the main film to all of the extras. I consider this a new experience and it’s one of my favorite viewings of the year so far. Karla’s Thoughts: I loved this movie and was beyond impressed with the special effects work, even the early test footage included on the Blu-ray. In fact, I’m surprised that footage wasn’t added into the movie. I loved the color tinting and the music. I also really enjoyed the story and the happy ending. I also found the extras really good and well worth watching. I’ll be watching this one again for sure. For many years, most prints of the film ran approximately 65 minutes. 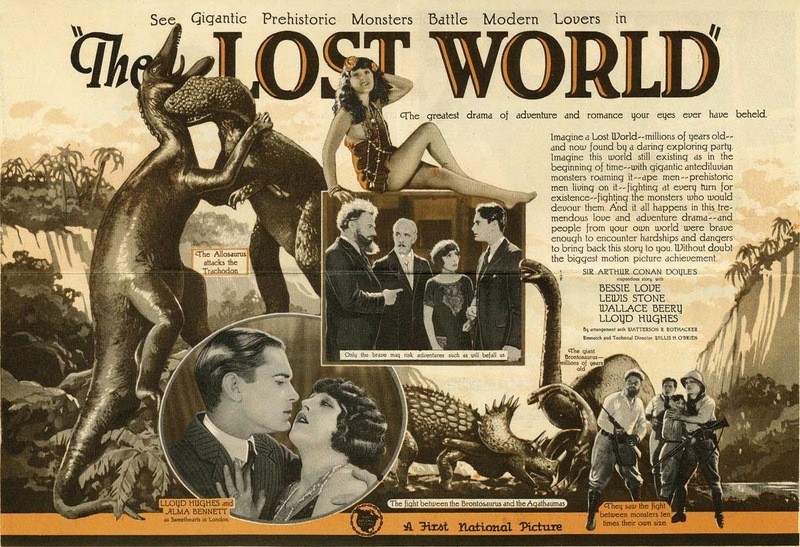 These prints omitted the sub-plot around Ed Malone and his love interest Gladys, as well as scenes at the last outpost, while shortening their time on the plateau and the climax as well. The original print had been missing since 1930 until restoration work began in the 1990s. David Shepard completed one restoration in 2000 while Lobster Films handled this most recent release, thanks to the discovery of more lost footage with its’ original color tinting and intertitles. 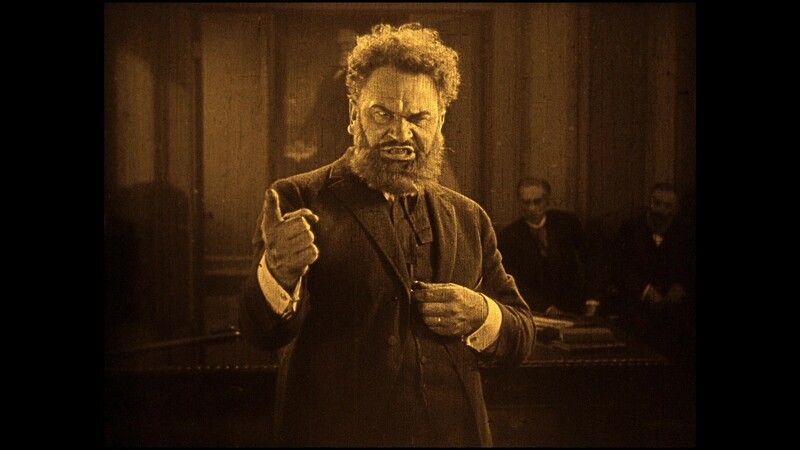 The only time Sir Arthur Conan Doyle appeared onscreen in an adaptation of one of his stories. He was 66 at the time and would die five years later, in 1930, at the age of 71. His original appearance at a desk is, unfortunately, still lost. 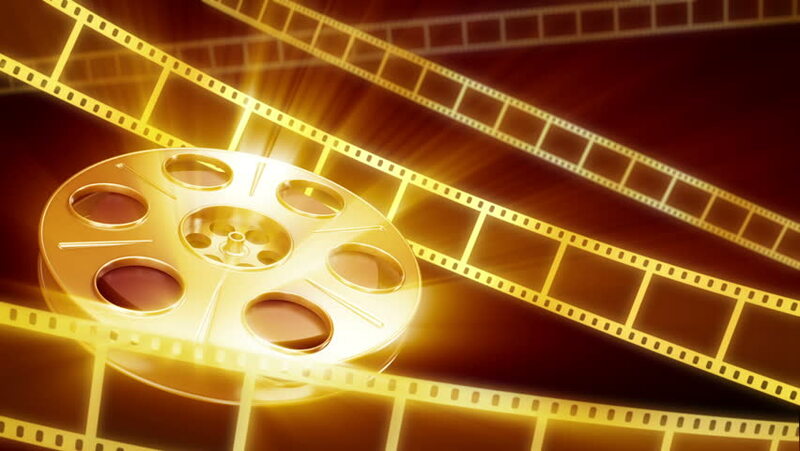 However, utilizing footage from a 1927 Movietone film, the writer is once again present as our story begins. Writer Marion Fairfax had previously co-written the William Gillette stage play of Sherlock Holmes. Lewis Stone may be better known for his role as Judge Hardy, Andy Hardy’s father, in the popular Mickey Rooney film series. Wallace Berry, a Kansas City native, is well-known for his films The Champ (1931) and Treasure Island (1934). Availability: The only true way to watch this film is on the Flicker Alley Blu-ray. However, this print is currently on YouTube if you so desire. On May 13, we sadly lost Margot Kidder, best known for her role as Lois Lane in the four Christopher Reeve Superman movies from 1978 until 1987. However, she left her mark on the horror film world as well. So, this month on episode 19 of the Classic Horrors Club Podcast, Jeff and I sit down to talk about three of Margot’s other films. We start off with Brian De Palma’s Sisters (1973) before moving on to Black Christmas (1974) and wrapping it up with The Amityville Horror (1979). You can now subscribe to just our show! We are available on Soundcloud, Stitcher and iTunes. Next month on episode 20, our friend Steve Turek will join us as we talk about his journey through Dark Shadows! The last time I was a guest on the B Movie Cast was the fall of 2012. I was still known as “Richard from Wichita” and I had just launched the Monster Movie Kid blog. 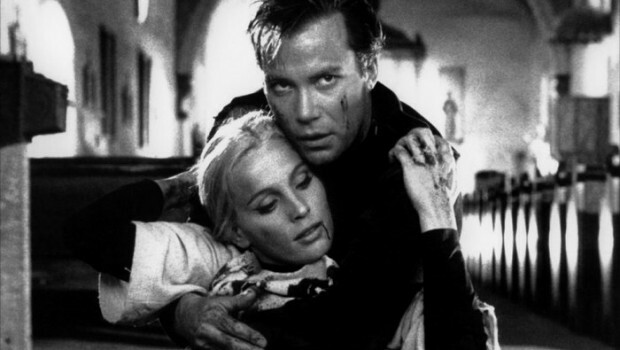 At the time, Vince Rotolo and I were working our way through some of the films of the great William Shatner. Now, I make my long overdue return as I sit down with Mary Rotolo and Nic Brown to talk about Incubus (1964)! Check out episode 405 and be sure to tell ’em Monster Movie Kid sent ya! Plot: Bill is driving home after his bachelor party only to be assaulted by a strange alien creature. It absorbs him and, as we later discover, it has assumed his shape and memories to slip into our society unnoticed. His new bride, Gloria, suspects something is wrong as her now husband is acting very strange. As other men in the city fall under the same influence, an alien plot is revealed. Why are the aliens here and why are they only assuming the shape of human males? Is it too late to save Bill and the other missing men? Richard’s Review: It had been more than 20 years since I last watched this fun flick and I’m glad I revisited it. It tends to be overlooked and is rarely talked about today. However, it has a solid with Gloria Talbott (The Cyclops, Daughter of Dr. Jekyll and Leech Woman) giving us a good “scream queen” performance. The alien effect of absorbing the men is simple but cool for the time period and the make-up work by Charles Gemora deserves more love than it receives. I especially loved how it was visible during lightning strikes. It’s well worth checking out or revisiting as it channels such alien invader films as Invasion of the Body Snatchers (1954) with its’ own twist. Good acting, entertaining script and solid direction make this one a lot of fun. Karla’s Thoughts: I give this one two thumbs up. I really loved it and would gladly watch it again. I especially appreciated how Marge was a strong female lead despite the plot of aliens coming to mate with women. If it wasn’t for her taking charge, the aliens would never have been discovered and would have taken over the Earth. This movie was originally the A film in a double feature with The Blob (1958). However, audiences preferred the color and more teen-oriented monster flick and I Married a Monster from Outer Space was bumped to B status. Leonard Maltin compared this movie to Invasion of the Body Snatchers (1954). Despite being well received by critics and moviegoers, the movie is often overlooked. The film’s somewhat sexist overtones and obvious Cold War mentality haven’t aged well over the years. This, added to the sensationalistic title, unfairly contribute to this lack of modern day acceptance by fans. Remade in 1998 under the title I Married a Monster. 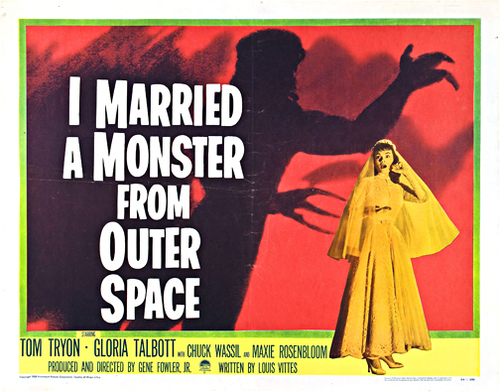 Availability: I Married a Monster from Outer Space is currently available on DVD. The Kansas City Crypt is open again and this month on episode 44 of the Mihmiverse Monthly Audiocast, the Monster Movie Kid gets on a soapbox to share his thoughts on fandom and loving movies. Be sure to check out the online home of the films of Christopher R. Mihm for all of the great merchandise and information on how you can help make future films happen!